Today would have been Elva Grossman's birthday. She was born 25 Apr 1880 in Hamilton, Ontario and moved to Chilliwack in 1908. Elva was the first secretary of the Chilliwack Hospital Auxiliary, 1911-1913, and again in 1926-1931. She was president from 1923-1925 and again from 1932-1933. In 1940 she was made an honorary member of the Executive. She passed away in 1963. There are other stories of Elva, hard working volunteer, tragic figure of lost fiancés. 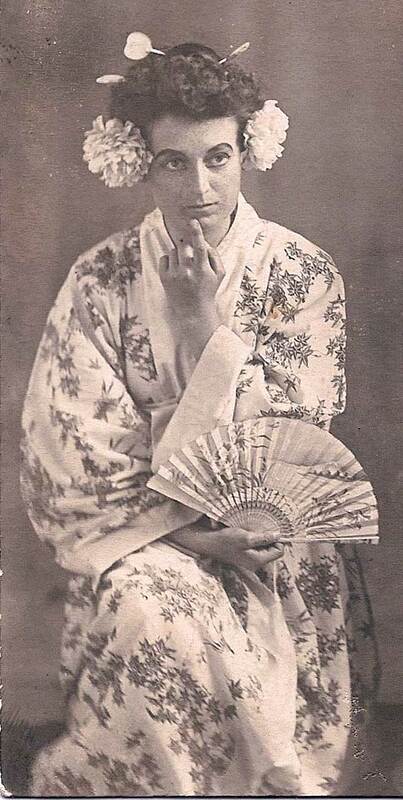 However, I like this picture of her from 1909 dressed up for her role in Gilbert and Sullivan's The Mikado. Despite the tragedy it looks like she was having fun and raising money for a worthy cause.